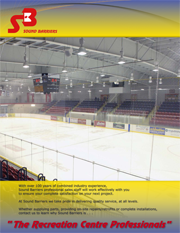 Sound Barriers provides insulated panels from 2-3/4″ to 10″ in thickness. Panels can be used in both interior and exterior applications. The insulated core is available in expanded polystyrene (EPS), urethane, or Roxul® insulation. Skins for the panels include white baked enamel, galvanized steel, or steel with laminated Kemlite Glasbord® . 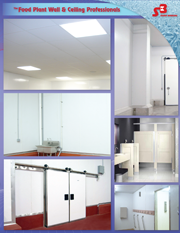 These panels are used as stand alone freezers or coolers, walk-on ceilings, partition walls, and exterior walls. Sound Barriers uses premium engineered wall / ceiling system for interior applications. Designed to meet today’s high performance standards in a wide variety of environments. R-Value by ASTM C518: 7.5 per inch. Reveals: Standard 1/8” vertical application. Exterior Face: 26 Ga. Shadowline profiled AZ 50, Aluminum Zinc pre-painted steel. Interior Face: 26 Ga. Shadowline profiled AZ 50, Aluminum Zinc pre-painted steel. Joint Configuration: Double tongue and groove interlocking joint.